We have designed this drive enclosure to meet the specific needs of our customers. 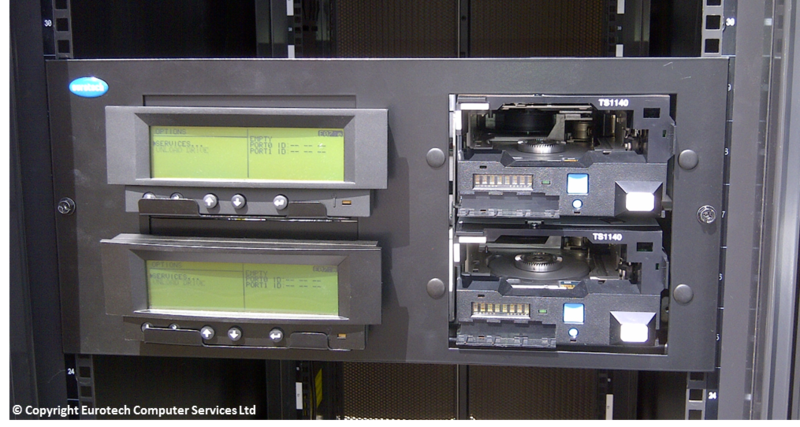 When providing manual load IBM Magstar 3592 drives TS1120, TS1130, TS1140 and TS1150, we believe this enclosure is a perfect fit and it’s free with all TS1140/TS1150 drive orders! The rackmount is based on an industry standard 19” fixed shelf capable of taking 250lbs/114kg. The IBM FC 4812 drive cradle is removable from the tray making horizontal installation simple. The drives fit into a standard library sled design, with no drive modification necessary. Provided at no cost with all TS1140/TS1150 drive orders. For more information or a quote, please don’t hesitate to contact us.